Translated literature is currently riding high, relatively speaking, in the British reading world, though it tends to rely on star names – a Ferrante, Murakami or Bolaño – to carry a country’s fortunes. One literature that we don’t hear much about is that of the Netherlands. You might point to Cees Nooteboom, with his uncanny fictions such as The Following Story and Rituals, while Gerbrand Bakker has followed up his IMPAC award-winning debut The Twin with two further novels that have found their way into English: The Detour (set, in fact, in Snowdonia) and June. But these are rare instances. Their own canon is shut off to them, so how should we know of it abroad? And how should we be surprised when that lack of a sense of tradition, of something to be honoured and continued, affects the current output? So it’s no surprise that the oldest of the 36 stories collected here – Nescio’s ‘Young Titans’ – comes from 1915. Possibly no surprise, too, that the translations – mostly done for this collection – are crisp and contemporary. ‘Young Titans’ is a good place to start, a melancholy evocation of the lives of young men who start off with great artistic plans, but are waylaid by the demands of money, or go mad. “We were kids,” it starts, “but good kids. If I may say so myself. We’re much smarter now, so smart it’s pathetic. Except for Bavink, who went crazy.” Nescio, incidentally, was the pseudonym of JHF Grönloh, an office clerk who successfully hid behind his pseudonym for 15 years, only outing himself when his work was attributed to someone else. Plus ça change, Elena Ferrante might think. There is a lot of northern European melancholy in the collection, which is based on a set of huge Dutch literary anthologies Zwagerman also edited, though they are often tinged with wry humour. You might turn to Marcellus Emants’ ‘The Eccentric’, with its portrait of the friendless anti-philosopher Z., who suggests that “it may not be long before the whole of society is constructed on the model of a gigantic madhouse”. Or to Nicolaas Matsier’s wonderful ‘The Minnema Variations’, in which a talentless poet hounds the secretary of a literary journal with countless pages of dreck, and yet somehow works his way into his life. One for fans of Fernando Pessoa, perhaps. There is plenty more in this vein, but it’s not all protestant lugubriousness. Manon Uphoff’s ‘Poop’ is a short sharp shock of a story, in which a bored rich Amsterdam resident tells the “nice, tall man” sat on the bench outside her canal-front house that he can have it – the whole building, keys and all – if he eats the two “gleaming, dark-brown piles of dog poop” left on the grass by her two Great Danes. There is another shock, with exquisitely controlled aftermath, in Mensje van Keulen’s ‘Sand’, in which a husband walks out on his drunken, nagging wife, only to get attacked, and raped, when he helps a man look for his lost dog on the beach. The Second World War and Dutch colonialism also cast their shadows on these stories. Unblemished comedy is in short supply. And you have to ask: is this gloominess a reflection on the Dutch temperament, or on the present selection? In fact, the saddest story in the book is that told in the editor’s biography, which tells us that Zwagerman killed himself in 2015, after suffering from depression; he had selected the stories, but the introduction was worked up from his notes. Zwagerman had previously written at length about his own father’s attempted suicide, and how he took this as a personal rejection. Indeed, suicide haunts a number of the stories: it’s there on the second page of the first story, in the opinion of Emants’ ‘eccentric’, Z., who says that it’s “absurd that we condemn, abhor or lament suicides – the only truly sensible people”. And it’s there, in a way, in the striking final lines of the last story, ‘A Room of My Own’ by young author and journalist Joost de Vries. The narrator is taking part in a re-enactment of the Battle of Waterloo, playing a French infantryman who gets shot by British muskets. He falls to the ground at the appropriate moment and listens to the battle going on around him. “A helicopter flew overhead, quite low,” we read. “I assumed a foetal position and concentrated very contentedly on my own death.” De Vries’s story was not in any of Zwagerman’s Dutch language anthologies. It was picked for this collection. Nor, in truth, is it a story. Look up the book it is taken from, and you will see that ‘A Room of My Own’ is non-fiction, a piece of memoir. It’s a startling, even unnerving way to end an excellent book. Joost Zwagerman (Ed.) (1963-2015) was a novelist, poet, essayist and editor of several anthologies. He started his career as a writer with bestselling novels, describing the atmosphere of the 1980s and 1990s, such as Gimmick! (1988) and False Light (1991). In later years, he concentrated on writing essays – notably on pop culture and visual arts – and poetry. Suicide was the theme of the novel Six Stars (2002). He took his own life just after having published a new collection of essays on art, The Museum of Light. Translators: David McKay, Paul Vincent, Damion Searls, Etty Kist, James Brockway, Richard Huijng, Hans Koning, Laura Watkinson, David Colmer, Ina Rilke, Donald Gardner, Sam Garrett, Michele Hutchison, Liz Waters, Sam Garrett, and Hester Velmans. 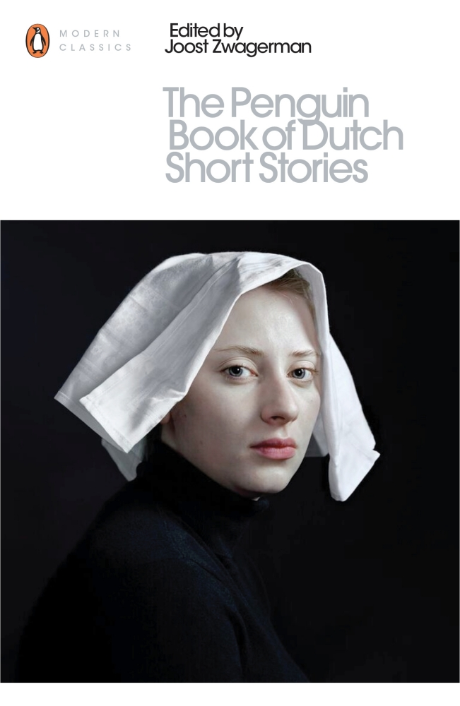 Posted in Book reviews and tagged dutch literature, Jonathan Gibbs, Joost Zwagerman, short stories. Bookmark the permalink.